A steady stream of messages and news relayed from a home in suburban Kolkata kept many anxious people posted about relatives stuck in flood-ravaged Chennai, not with 21st-century technology but through its humble forefather — the radio. 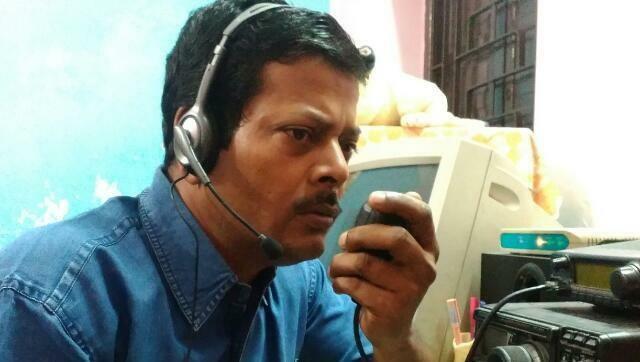 HAM radio operator Ambarish Nag Biswas of Sodepur on the outskirts of Kolkata became a vital lifeline for many people keen to know about family members held incommunicado in the southern metropolis after record rain snapped all forms of communication there. Amateur radio, popular as HAM, crackled to life after smart phones and laptops gave up in the face of power outages and a clogged grid.